A pastor's work is never done. Some might think that a pastor's busiest day is Sunday, but they don't see the late night phone calls, hospital visits and members of the congregation who seem to have an endless list of needs. Learning how to thank your pastor, and doing so frequently, is so important. Not only is it the right thing to do, but the appreciation can even help to re-energize your pastor so that he can continue doing his important work. If you sent a thank you note to your pastor every time he deserved it, you would probably be doing a whole lot of writing. Below are some tips for how to thank your pastor. There will be times when your pastor goes out of his way to assist you. Times like that certainly deserve a thank you note. You should also, however, write him a note from time to time just to thank him for the work he does for the church on a daily basis. If you really want to touch your pastor's heart, include something that he said in a recent sermon. This will mean a lot to him because he will know that his words stuck with you. 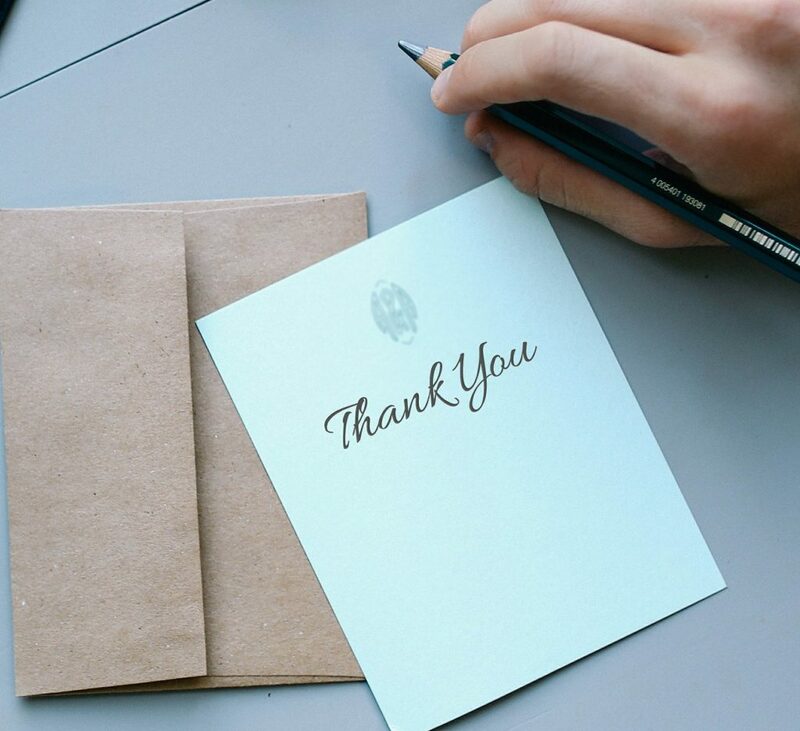 Your thank you note doesn't have to be super long, but it should be long enough to let him see your appreciation. In the next two sections, you will find quotes that can be included when thanking your pastor as well as a couple of sample thank you notes that you can use as a guide. The service of the pastor is selfless, the service of the priest is precious, the services of clergy is sweet. When God wants to speak and deal with us, he does not avail himself of an angel but of parents, or the pastor, or of our neighbor. You have been such a blessing to my family during the loss of my father. It meant so much to all of us that you showed up at the hospital the night that he died. Also, the funeral service was so beautiful, and it is something that I will always remember. Your genuine caring went a long way in helping me to deal with my grief, and I appreciate your offer to talk. You really are a wonderful pastor, and I'm thankful to God that you're in my life. I just wanted to write you a quick note to let you know how much I appreciate everything that you do for the church every day. Your sermons are always thoughtful and well-delivered, and the care that you show to the different ministries, such as seniors and youth, really lets every member of the congregation feel that they are special to you. I know that you don't do what you do to earn the accolades of men, but I still wanted you to know that I have watched you change the lives of many people, and I am very proud to call you my pastor. How Do You Thank Your Pastor? Help inspire others by posting your best ideas for thanking your pastor, and we'll publish them on this page!